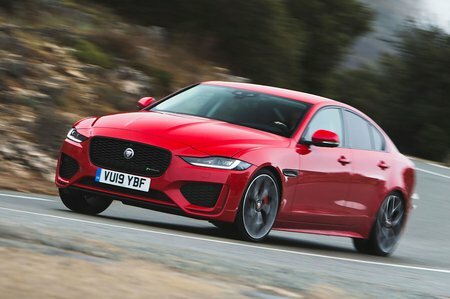 Jaguar XE 5.0 Supercharged V8 SV Project 8 4dr Auto 2019 Review | What Car? The Jaguar XE is wonderful to drive and well equipped, even if rivals have it licked for interior quality and practicality. Go for the D180 diesel if you're a company car driver or worried about fuel costs, while the P250 petrol is a better choice is you're buying privately and do below average miles. Either way, stick with entry-level S trim if you want the best value for money. In addition to every body panel except the roof and front doors being bespoke, the suspension has been entirely reworked and high performance Michelin Pilot Sport Cup 2 tyres are fitted.